Direct Fit replacement for OEM instrument bezel in 71-74 Dodge/Plymouth "B" body Charger, GTX, Coronet, Road Runner, &amp; Satellite. Includes mounting location for stock headlight switch, wiper switch, and stock heater controls. Includes passenger side trim piece. Modification to an original dash can be a daunting task. 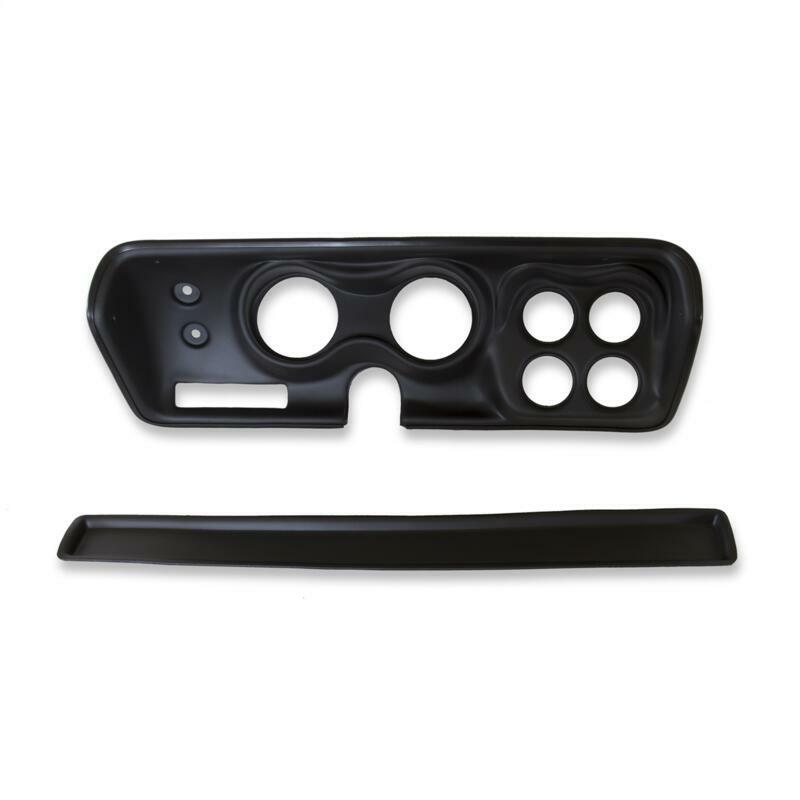 AutoMeter makes it easy with a range of direct fit replacement dash panels that perfectly house AutoMeter instruments. Made in the USA from durable, thermoformed UV protected ABS material, in a high quality finish designed to compliment any interior.